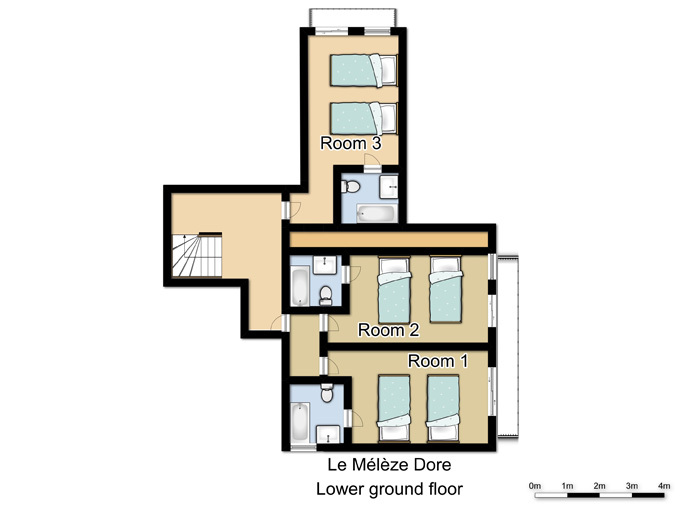 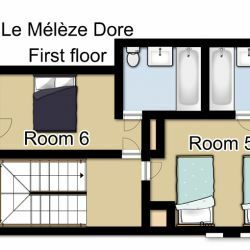 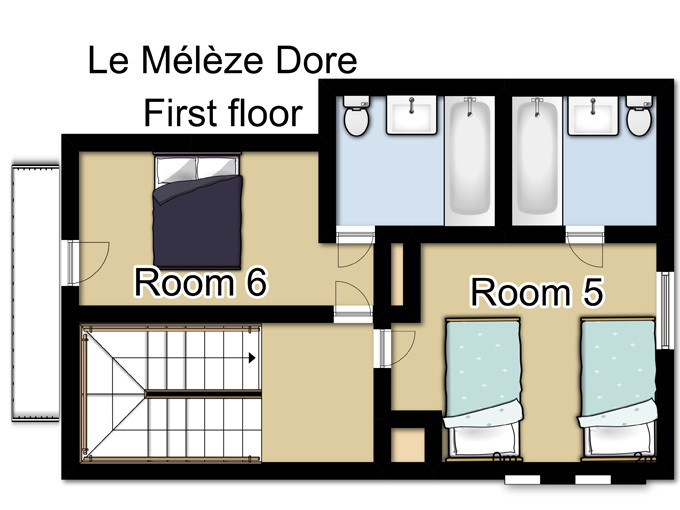 The Chalet Le Meleze Dore has 6 en suite bedrooms that are all decorated in the finest traditional Savoyard style. 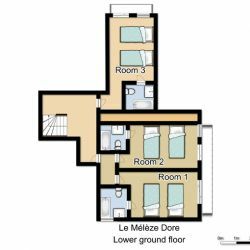 The large picture windows from the lounge and dining-room, and the spacious balcony, look out over wonderful views across the valley. 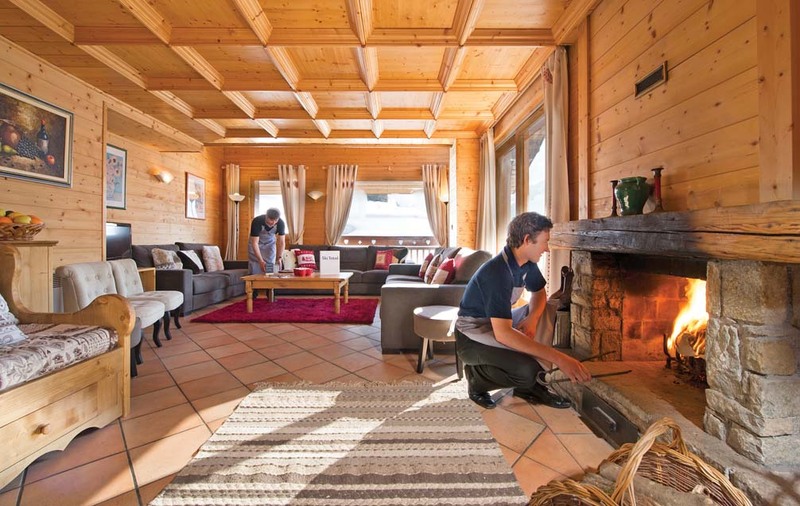 The open fire is the main focus of the stylish living area. 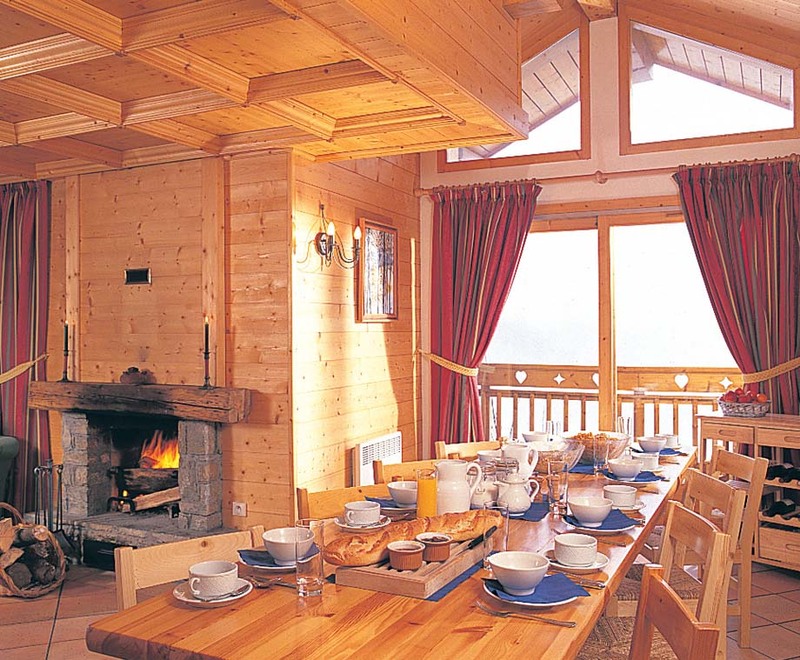 The furnishings are bright and colourful and the walls and ceilings are wood-panelled throughout. 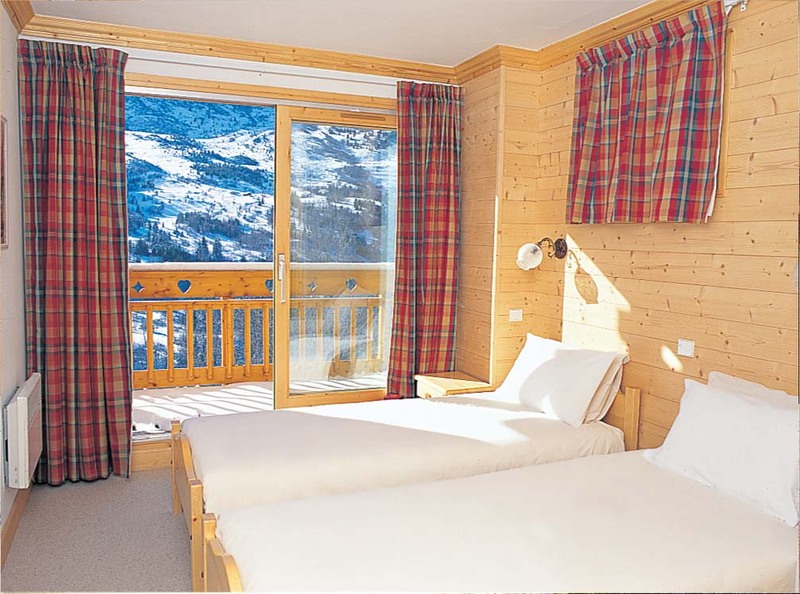 Sliding doors to the balcony extend the living area to the outside which is lovely, especially on those sunny bright Alpine afternoons. 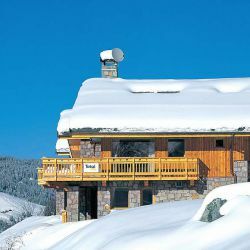 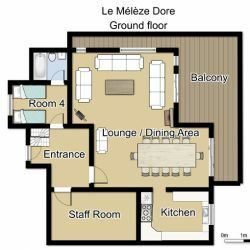 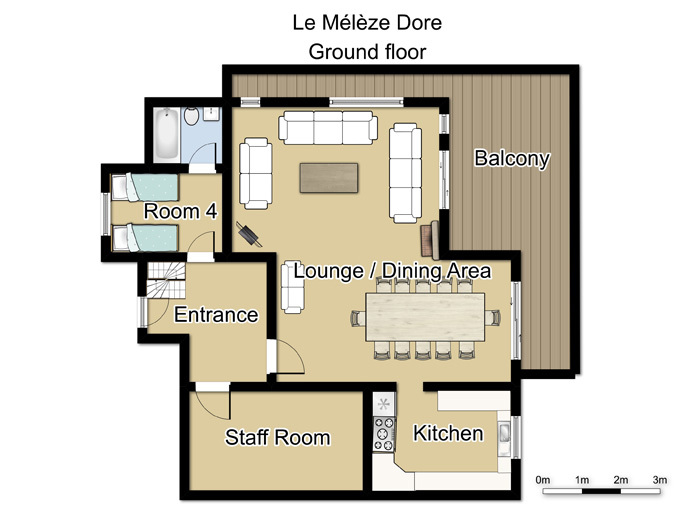 The Chalet Meleze Dor is an excellent choice of location for both keen skiers and après ski lovers. 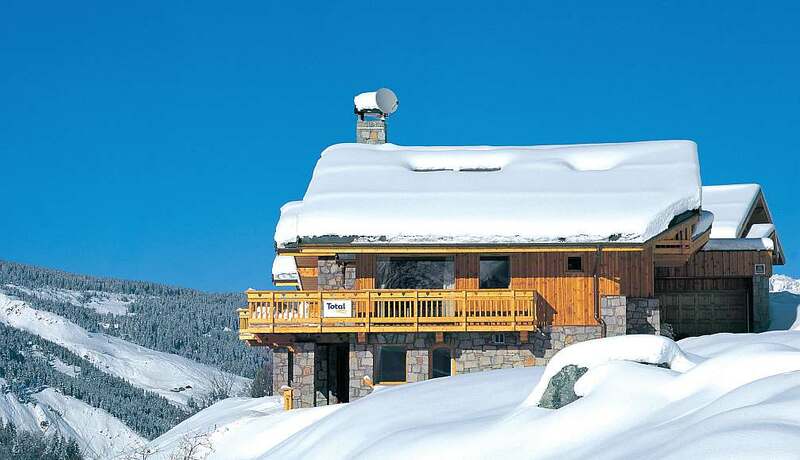 The main ski-lifts, shops and bars are only approximately ten minutes’ walk away, and access to the slopes is made even easier by our complimentary chalet minibus service, mornings and afternoons. 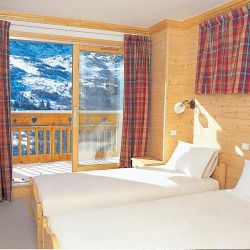 Prices include flights, transfers and chalet board. 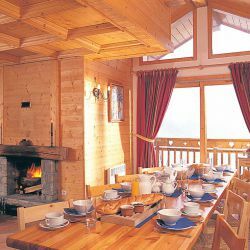 Chalet board includes breakfast, afternoon tea and a 3 course evening meal with wine for 5 nights.